This post, Barley Spinach Risotto, is sponsored on behalf of Swanson®. All opinions are, as always, my own. I love cooking. Shocking, right? While that was not an Earth shattering admission (I write a food blog, after all) sometimes I have to remind myself of that love. Weekly cooking and meal planning can get tedious and chore-like. My passion for crafting flavors and learning new cooking techniques often gets shoved aside to make room for quick cooking dinners. Quick meals are a necessity in our lives, but I am making an effort to carve out times to play around with recipes again. 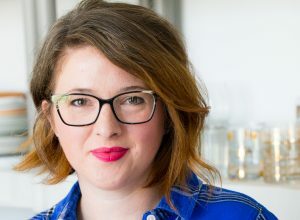 Try new ingredients and techniques that I’ve only read about or drooled over online. 2016 is going to be a year of culinary exploration! Or something like that. Let’s just make an effort to expand our comfort zones this year and try something new once in a while. Ok? Let’s start with this Barley Spinach Risotto. If you’re like me, you find yourself in the grain section of the supermarket getting lost amidst the farro, wild rice, and quinoa. Oh, and Amaranth. Have you seen that one? I’ve tried it and it’s pretty darn good. But one of my very favorites is barley. Barley has a nutty, chewiness that is both satisfying and down right delicious. I have had it many times, but only prepared it myself a few. One of the reasons is that it takes a long time to cook barley. It’s not a quick cooking grain so therefore it doesn’t make it to our weekly table very often. But here’s the thing. While barley takes some time to make, it’s not difficult. Plus, it’s a sponge for any flavors you’d like to layer on top of it while keeping it’s toothsome texture and earthy flavor. Lately I have been cooking barley on the weekends in this risotto style. 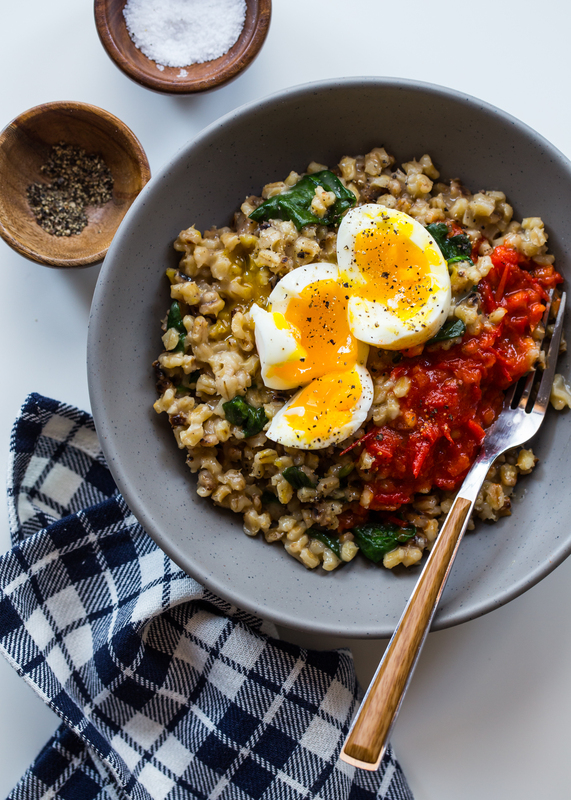 Barley is different than rice, so it’s texture as a risotto is inherently different that risotto made from rice. Trust me, that’s not a bad thing. 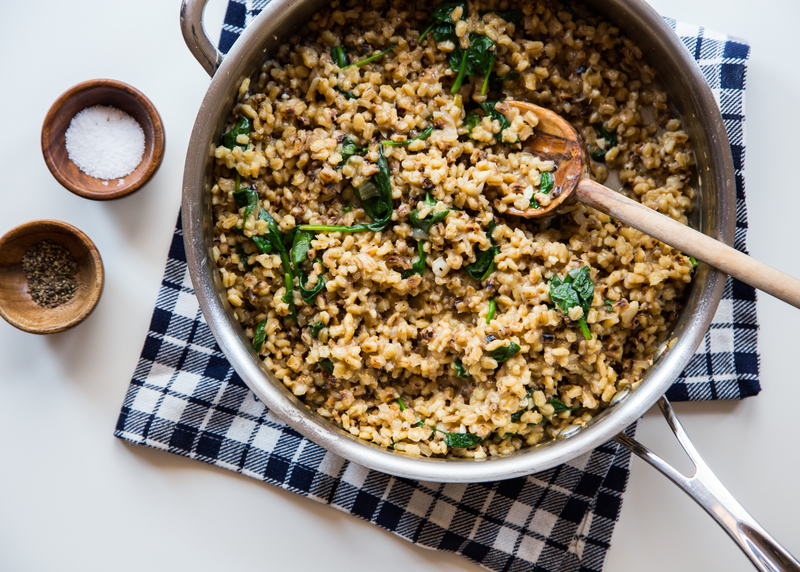 The trick to cooking this barley spinach risotto is layering it with flavor right from the start. That starts with toasting the uncooked barley then cooking it with Swanson® great new bottled broth and a bit of wine, garlic, and shallots. 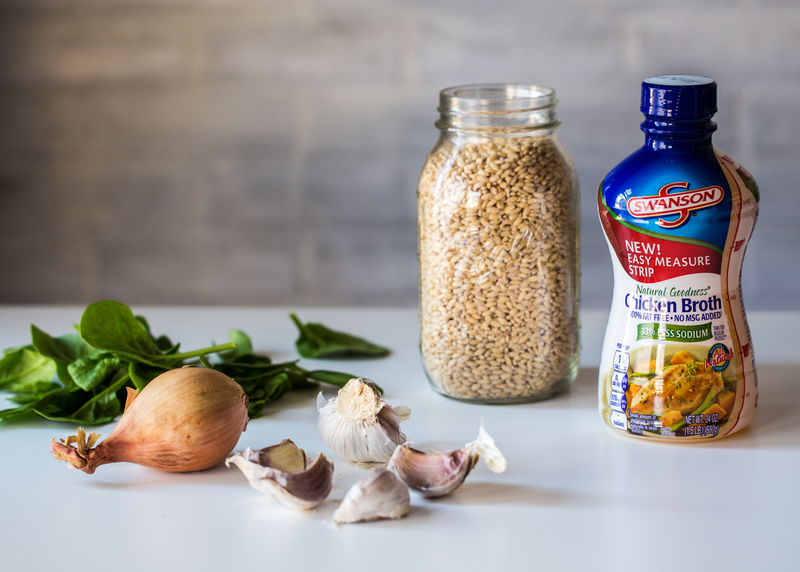 Swanson® Natural Goodness® Chicken Broth has built in measurement lines down the side of the bottle to not only make the cooking process easier (less measuring cups to use!) but it’s great to be able to see at a glance how much I have left to use in my next recipe. 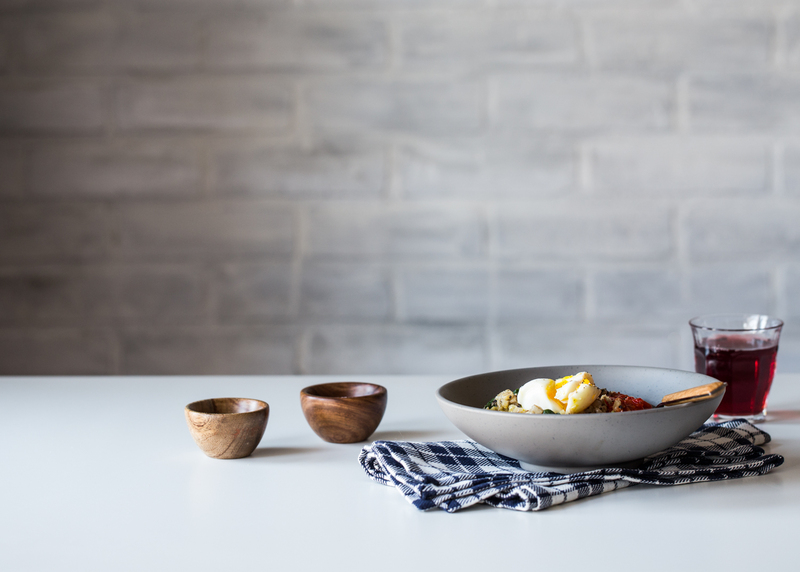 A splash, and sometimes more, of broth enhances so many dishes from vegetables to a grain dish like this one. This entire recipe is quite simple, but does take a bit of attention. 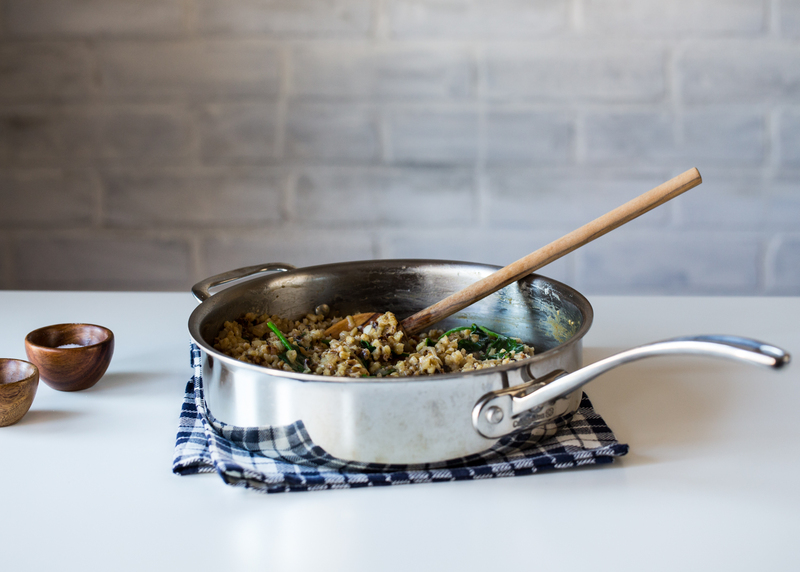 Get a saucepan of the Swanson® Natural Goodness® Chicken Broth and some water simmering gently on the back burner while you cook the risotto in a skillet on the front burner. Every stage of cooking is adding flavor to the final dish. Toasting the barley in the pan before cooking enhances the flavor of the barley. The shallots, garlic, olive oil, butter, Swanson® Natural Goodness® Chicken Broth, and a final squeeze of lemon juice all come together to create a depth of flavor that is rich and bright. 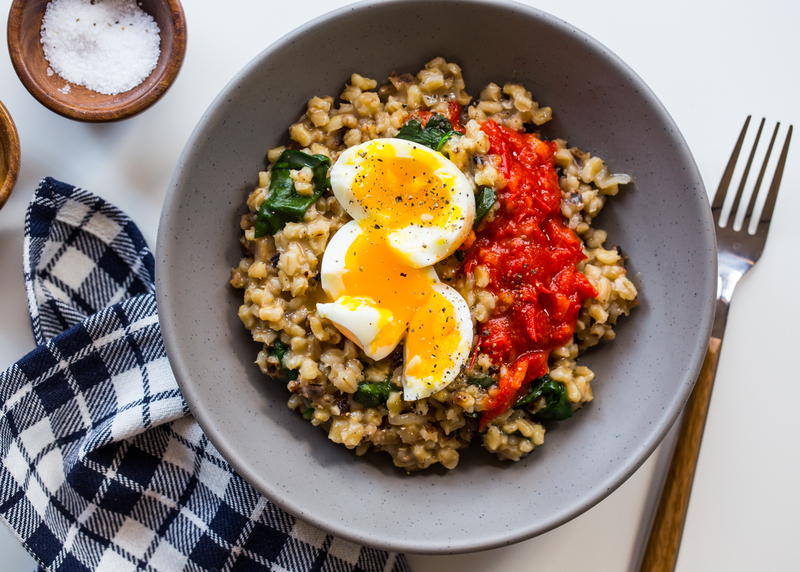 Serve this barley spinach risotto alongside a broiled fish, grilled steak or topped with a soft boiled egg. That’s my favorite way to enjoy it. Lately I have been stirring in a dollop of harissa for some additional tanginess and spice. 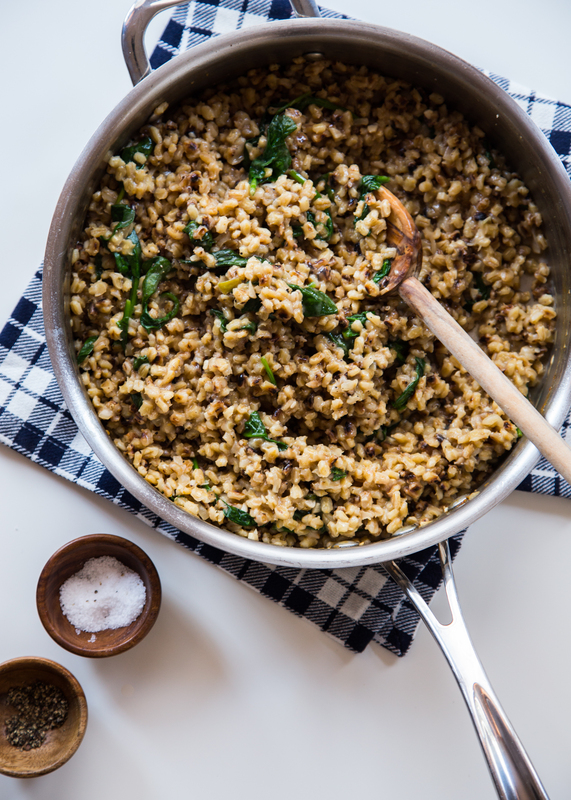 How would you serve up this barley spinach risotto? Pour Swanson® Natural Goodness® Chicken Broth and water in a saucepan set over low heat and gently heat. Keep warm over a low flame while preparing the risotto. Place a large straight sided skillet over medium heat. Add uncooked barley and toast until golden brown and fragrant, stirring occasionally, 2-3 minutes. Take care not to let barley burn. Remove barley from pan and return pan to medium heat. Add olive oil and butter. After butter has melted add shallots and sauté for 60 seconds until they begin to soften. Add garlic and sauté an additional 60 seconds. Add barley back to pan and stir into shallot mixture. Once barley is stirred in, add wine to the pan. Stirring occasionally, let barley cook, keeping it at a low simmer, for about 4-5 minutes or until the wine is almost absorbed. Add about 1 cup of the warm stock to the barley pan and cook, stirring occasionally, for about 5-7 minutes or until the stock has been almost absorbed. Repeat this process of adding stock, stirring, and simmering until barley is cooked through and has taken on a creamy, tender texture. The entire process will take about 60-65 minutes. Stir in spinach and allow to wilt. Stir in lemon juice and season with salt and pepper to taste and serve immediately. You can not go wrong with putting a runny egg on top of anything. Runny eggs are my spirit food! 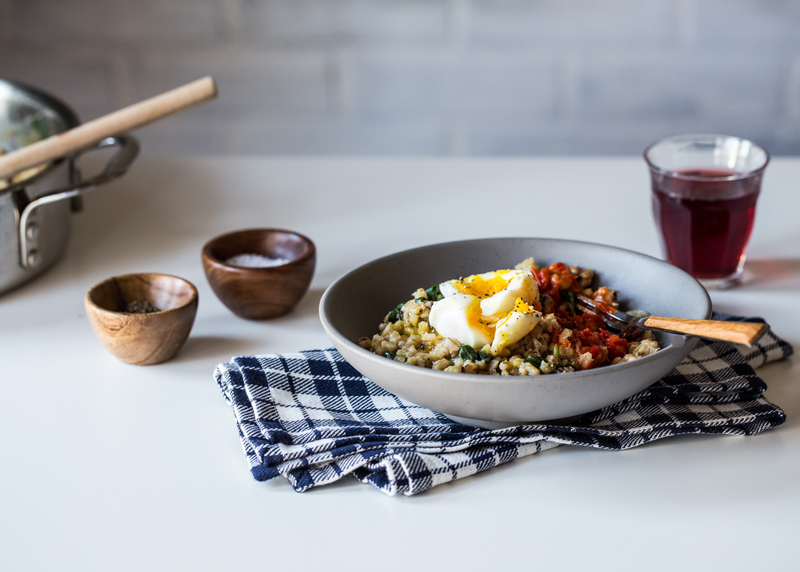 Great spin on a classic risotto, looks delicious! We just had this tonight and OMG so good!!!! It was so easy and tasty. It’ll be going into the regular rotation!